If you're in need of some luxury pampering, look no further. 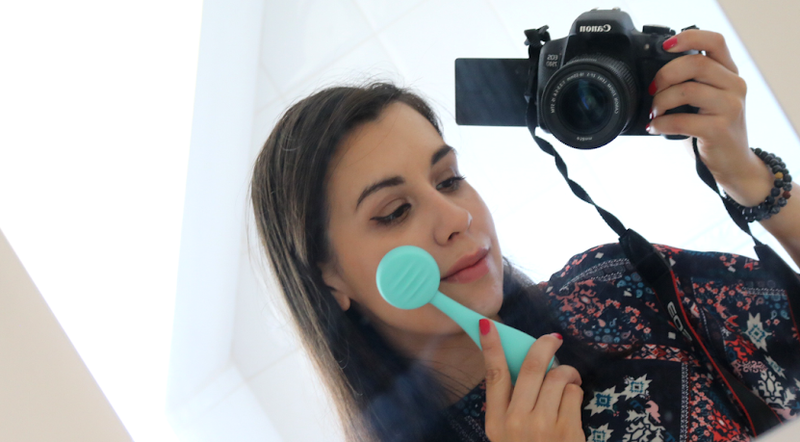 This week I'm throwing the spotlight on French brand, Gallinée, who will have your skin glowing in no time at all. 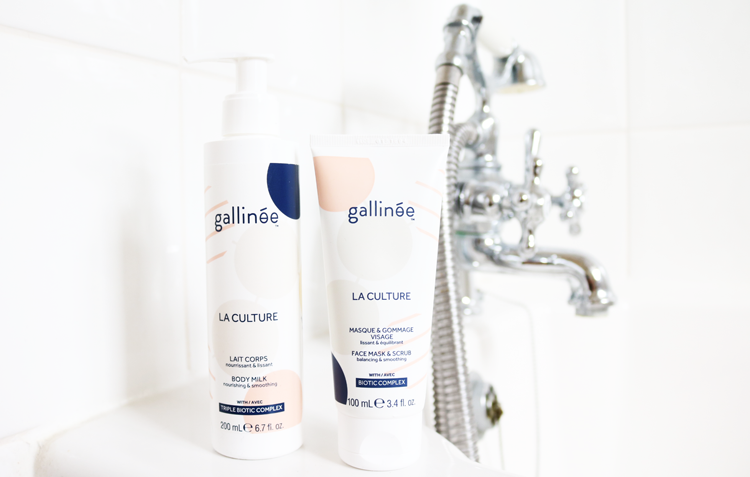 I've been using a couple of products from Gallinée throughout the year (their Cleanser and Hand Cream are definitely worth looking into), so it's always a pleasure to see what else they have to offer. What I find the most intriguing about this brand is their 'Triple Biotic Complex', which is a blend of prebiotics, probiotics, and lactic acid. 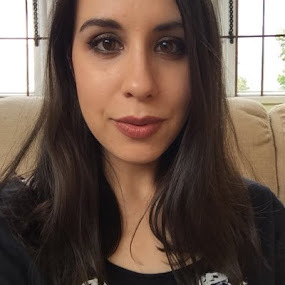 This complex helps to protect and support the delicate balance of the skin, so it's amazing for sensitive skin types like mine because the formulas are so gentle. In my bathroom, I've had these two at the forefront of my beauty stash for the past month as I've been testing them out to see if they're as good as the other products I've tried from Gallinée. With the change of season I've noticed that my all-over body skin, which is dry anyway, is becoming even drier, so I'm getting back into the habit of investing the time into moisturising it on a more regular basis now. This Body Milk transforms the mundane chore of moisturising into a pleasant and pampering experience as it's such a delight to use. The natural fragrance has a fresh and subtle sweetness to it, and the 94% natural formula itself quickly sinks into the skin without any greasy or sticky feelings afterwards. My skin is left feeling as soft as silk which is always a difficult feat for any body lotion to achieve due to it being so dry to begin with, but it hydrates and nourishes like a dream. You guys all know how much I love my multi-purpose skincare products, so I was excited to try out this 2-in-1 mask and scrub combo. Like the rest of the La Culture range, it's enriched with that special Biotic Complex, so your skin can really benefit from all those prebiotics, probiotics and lactic acid, which are gentle to your skin's natural pH levels. In addition to those key ingredients, it also contains kaolin clay and seawater minerals to help clear, mattify and smooth your complexion, making it perfect for any troublesome oily and combination skin types. The texture of this is nice and creamy, with the manual exfoliation coming from tiny bits of olive seed powder which give a gentle polish to remove dull, dead skin cells. You can either use this as a quick rub on, wash off job, or leave it on for 5 minutes as a mask. Given the price point, I prefer to use it as more of a treatment mask once a week, but it works great both ways, and gives me brighter, clearer, softer skin every time I use it. Gallinee products are cruelty-free and formulated without parabens, colourants, mineral oils, silicones, SLS, MI and phenoxyethanol. 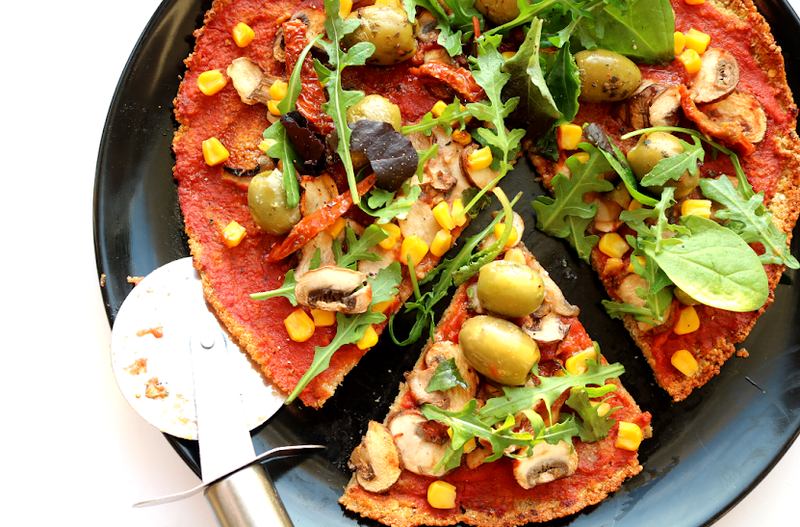 Have you tried anything from Gallinée? HUGE fan of this lovely brand. 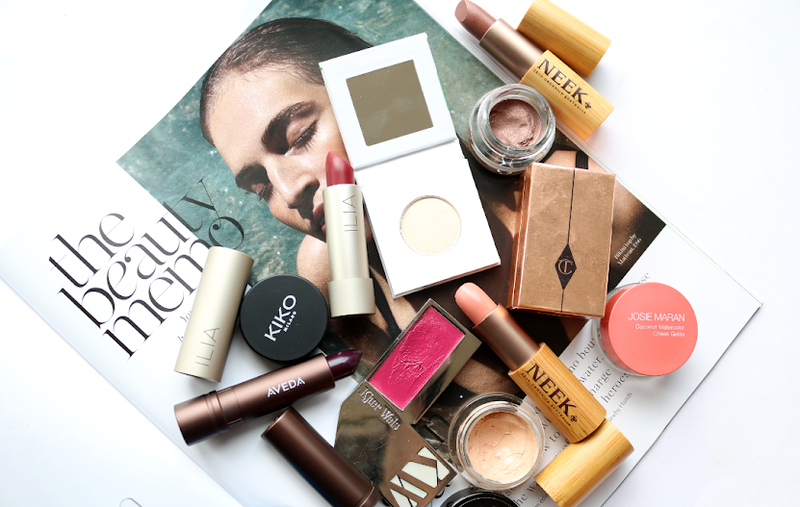 The products are just amazing.